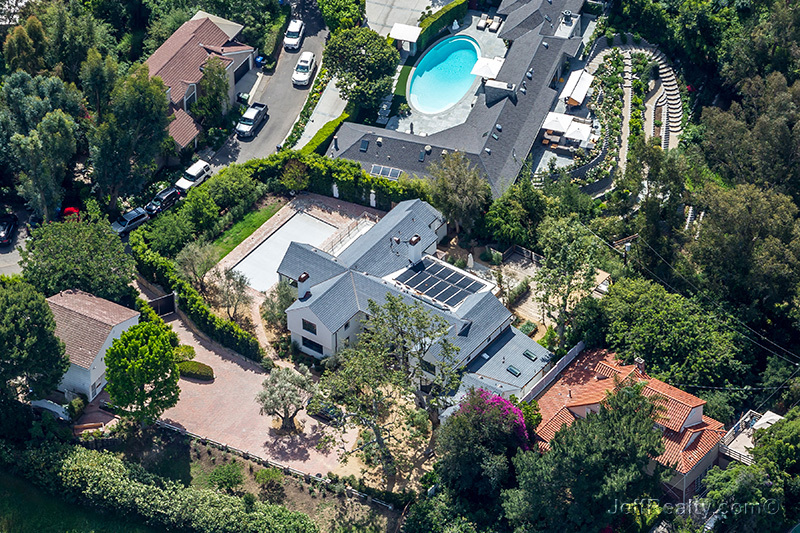 Television actor and movie star Jason Bateman, wife Amanda Anka, the daughter of singer Paul Anka, and their two daughters, Francesca Nora (age 9) and Maple Sylvie (age 4), are enjoying life in their Beverly Hills mini-compound at 3055 Lake Glen Drive. The 6148-square-foot home, which was formerly owned by actor Ernest Borgnine, features indoor and outdoor pools, lots of windows, a parking-lot sized carport, and tall windows on a gated property on a private knoll. The couple purchased the property for $3 million in January, 2013. The home has 5 bedrooms and 7 bathrooms and features a sweeping circular staircase, a stained glass window, a living room with a wet bar, a paneled library, and a very formal kitchen and comfy breakfast nook. One upstairs wing is devoted entirely to the master bedroom suite, with a balcony, private sitting room, bedroom and dual dressing rooms, bathrooms, and walk-in closets. The compound also includes a private guest house. While redefining his role in Hollywood as a director, Bateman has also been paving a path in the film industry for clean renewable energy and has been determined to create films using “green sets”. His 2012 indie film “Bad Words” was one of the first films to effectively use solar power during movie production to power the base camp, production trailers, craft services, telecommunications, and light towers. 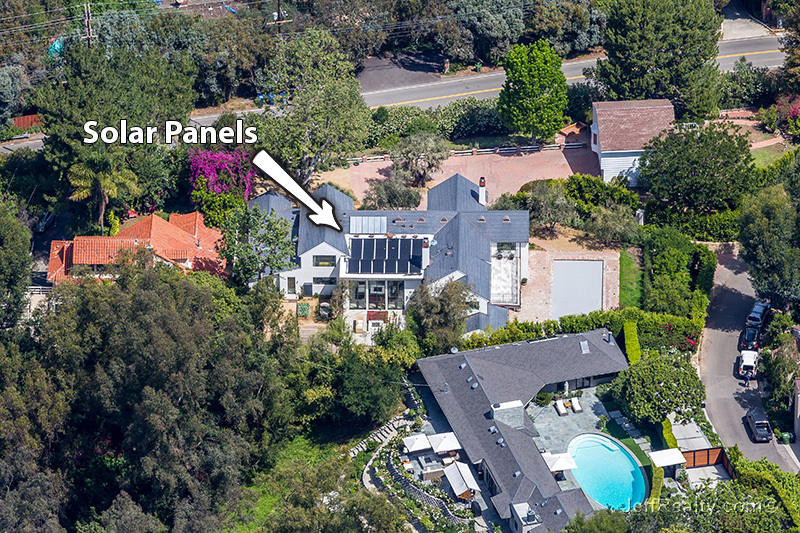 It seems that he has also utilized his passion for green energy at his home as what appears to be multiple solar panels take up a portion of the roof. One thing that the home seems to be lacking in is outdoor space and privacy. The home has zero-property lines on two sides with only a small fence separating it from the house on the right and a thin hedge separating it from the house behind it. The miniscule backyard is smaller in size that the paved parking area in front of the home. Bateman has been busy making lots of films, including his recently released “Horrible Bosses 2” and “This is Where I Leave You.” He is best known for his work on the television series “Arrested Development.” He is currently filming “Office Christmas Party” and recently finished “The Gift”, “The Family Fang”, and “Zootopia”. Posted in Admiral's Cove homes for sale, BallenIsles homes for sale, Bay Hill Estates homes for sale, Celeb Homes, Jonathan's Landing homes for sale, Jupiter Country Club homes for sale, Jupiter homes for sale on April 6, 2016 at 9:00 am.